Considering this mobile phone's screen size (6.47 inches), its weight is reasonable. Check out it camera zoom capacity and it's low light shots. Amazing!!! Does Huawei P30 Pro support USB Type C port? Yes, Huawei P30 Pro supports USB Type-C port. Does Huawei P30 Pro supports wireless charging ? Yes, Huawei P30 Pro offers reverse wireless charging and 40W fast charging. Yes. Huawei P30 Pro comes with fast wireless charging and it supports reverse wireless charging too. What are the storage variants of Huawei P30 Pro? Huawei P30 Pro comes in 3 variants i.e. 8GB RAM + 128 GB ROM, 8GB RAM + 256GB and 8GB + 512GB. Does Huawei P30 Pro support 5G? 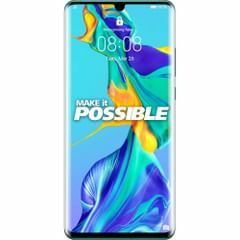 What is the battery capacity of Huawei P30 Pro? Does Huawei P30 Pro have a fingerprint sensor? is this really worth 70K ?